Jeff comes to the Office of Global Initiatives with over ten years of experience in international education. 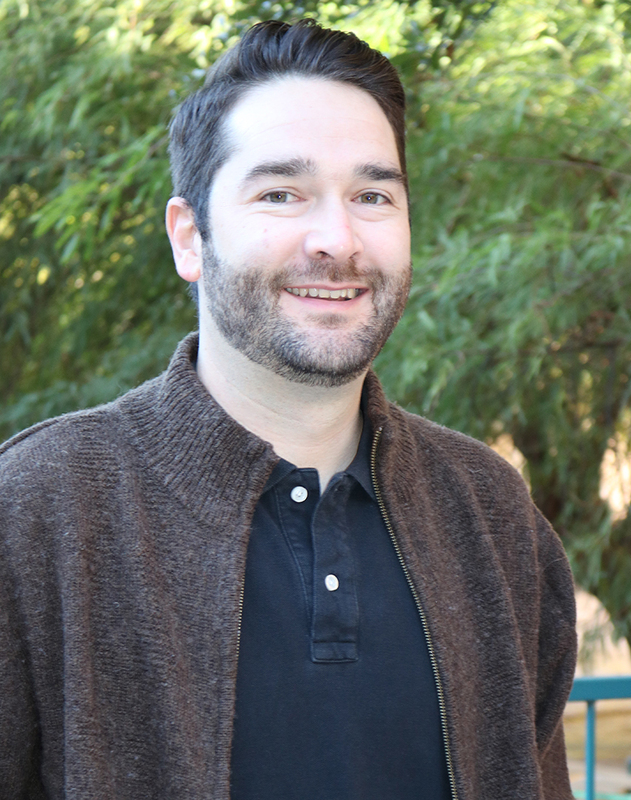 Prior to joining the international partnerships team at the University of Arizona, he spent 6 years as an associate director and instructor with the Earlham College Border Studies Program in Tucson. Jeff has spent extended periods of time in both Ecuador and Mexico as a student, researcher, educator, human rights observer, and conservationist. He also spent two years researching trends in international higher education for World Education Services in New York City. Jeff holds an M.A. in Social Justice in Intercultural Relations from the SIT Graduate Institute in Vermont. In his spare time, he enjoys books, motorcycles, gardening, and exploring the desert with his dog, Ramona. He is originally from Omaha, Nebraska. Latin America. I have traveled there my whole life. I spent some time living in the Andes where you can be at 10,000 feet and then at the beach in a couple of hours. Or you can go to the other side and visit the rainforest. It’s a condensed space with so many landscapes and cultures. I would like to go everywhere! That’s the short answer. I’m fascinated by people – cultural geography, in a sense – so I would like to visit more big cities: London, Paris, Tokyo, and São Paulo would be nice. My favorite celebrity right now is Colin Kaepernick. I enjoy playing and following sports, as well as supporting and participating in movements for social justice. I admire Kaepernick’s on-field success but more so his dedication to improving the lives of others and his courage to stand up (or famously, kneel) for what he believes in. I really like to garden. I grow cacti and succulents, but also food. Right now, I have a winter garden with a variety of greens – and in the summer I grow corn, squash, and watermelon. Some people have a perception that the desert is a difficult place to grow food, but it’s actually a great place to learn about small-scale food production at home. I also keep chickens! I don’t have a favorite generally speaking, but everywhere I go I want to eat local specialties. If I’m by the seaside, I want to eat where the fishermen eat. If I were in Nebraska, I’d want a steak. I really love all food. What is your favorite thing to do in Tucson? Eat tacos. There are my standbys: Tacos Apson, Mr. Baja Fish, Pico de Gallo – but I also like cruising on my bike to find taco trucks. I’m slowly building a roster of the best taco trucks in Tucson. What is your favorite thing about the UA? I’m fairly new to the UA, but with any higher education institution, I like that it’s one of the few remaining public spaces in our society. You can show up for events and learn something. I enjoy how universities are spaces of discourse, collaboration, and learning. I’m excited to learn more about how I can take advantage of that. I’m looking forward to interacting with people across campus. What sparked your interest in international education? My older sister was a diplomat so I spent time in Central and South America, starting at the age of 10. This piqued my interest in the way people lived in different places. I also wanted to learn languages. I studied abroad in Ecuador as an undergrad and ended up living there for four years. Traveling and learning abroad has always been a meaningful way to expand horizons and explore the world better. I’ve always worked in international education because I like sharing this with others. What do you look forward to most about working with OGI? I’m excited to learn more about developing international partnerships on campus and around the world. There are lots of exciting things happening at the UA in terms of internationalization. In managing development of duel degrees, it will be rewarding to play a part in developing relationships between the UA and international institutions across an array of disciplines, helping both parties achieve success. How can you help OGI colleagues? I have a lot of experience in international education in Latin America, and connections throughout the region – particularly in Ecuador and Mexico – and I’m happy to speak with people about working in these areas. I also have experience delivering experiential pedagogy. Apart from that, my master’s is in intercultural relations, and that is a passion of mine. I hope to bring to the partnerships team a sensitive understanding of working equitably with partners internationally. Also, if people have questions about the borderlands, I worked for six years as an instructor with the Border Studies Program and have connections in Sonora with non-profits, grassroots organizations, and educational institutions.